It is second big achievement of the famous Pakistani brand QMobile within a week. A few days ago, we have seen that that the world's best mobile phone data base website GSMArena has added the mobilephones of QMobile in its database. No doubt that there is not all the models have been mentioned in this site but it is very good news for the company and all the Pakistanis that one of the famous sites has given heed to a Pakistani Mobile brand. The second credit that QMobile has gotten today is that Google Android One will be announced in Pakistan with the collaboration of QMobile. 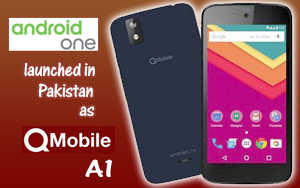 "Android One" is the first "Android One" device that has been announced under the title QMobile Android A1 . 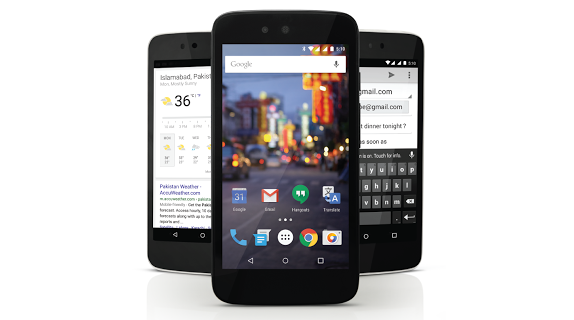 It is actually a mid-range smart phone with the latest version of Android version. QMobile A1 smartphone comes loaded with Android 5.1.1 and offers you a 1.3 Ghz Quad-Core processor with 1GB RAM and a 1,700mAh battery. Other features include a 4.5-inch FWVGA IPS display, 5.0 Mega Pixels back camera, 2MP front facing camera and dual SIM support. It also comes equipped with 8GB of built-in storage and the ability to expand up to an additional 32GB via MicroSD card. Many of QMobile users had the issue that there is no such phone by QMobile with a facility of receiving OS updates. Perhaps the Company has got the influence of the protest of its customers and has made this fantastic decision to solve this issue. QMobile has been making plans to make itself as an international brand for long. With the announcement of launching of the "Android One" by Google in a blog , this Pakistani company has automatically comes in the news of international media. This is one of the main news today at all of the famous international techonoly news websites. QMobile has automatically been introduced among the people all over the world. Another news is also here in this respect that QMobile is introducing its latest flagship phone NOIR X950 world wide. So the collaboration with Google it a good sane decision of QMobile. As it has saved a lot of its money that it would have otherwise to spend on its advertisement internationally. 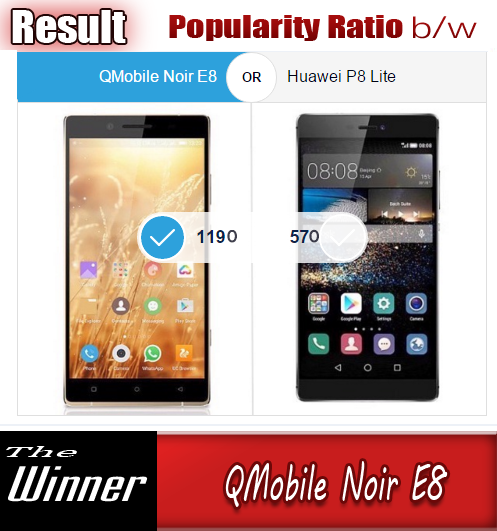 Another interesting thing here is that QMobile has already released a smart phone with the name QMobile NOIR A1. But this smart phone was less popular and was available for only a short period of time.